The first Nikon microscope was made in the early 1900’s. Ever since then, these products have been changing with the technological needs of consumers. Nikon has served a major role in some of the biggest scientific events in history. With an impressive past and an eye toward the future, the Nikon models are leaving their mark on the world. The Nikon Company was established in 1917, and quickly became a world leader in the field of imaging technology. The company has become known for its function capabilities, features, and its adaptability to the changing needs of users. The first Nikon microscope looked very simple compared to the modern microscope. At the time however, it was a technological marvel. It was a compound monocular microscope made from a combination of brass and black enamel. The horseshoe base supported a revolving nosepiece that held three objectives. The stage was flat and square, with an Abbe condenser located beneath it that used a double mirror to collect the light. These parts were all connected to a limb that could pivot. The limb was also home to the coarse and fine adjustment on this Nikon microscope. Much like looking at pictures of your old hairdo from high school, it's hard to believe what was once considered cutting edge and cool. 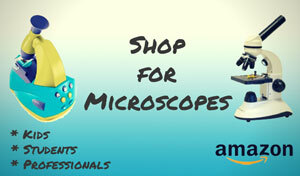 These days, Nikon makes some of the most popular biological and industrial microscopes available. Most Nikon microscopes fall into the category of stereo microscopes, upright, and inverted. Using a separate objective lens and an eyepiece for each eye, a stereo microscope provides a three-dimensional view of the specimen. 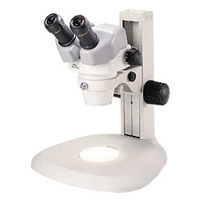 Stereo, or dissecting, microscopes have lower magnification when compared to compound microscopes, but they also have a longer working distance. The Nikon stereo microscope has the best zoom range of any similar unit. Nikon’s line offers a wide range of products that can fit into the most sophisticated laboratory all the way down to microscopes that are both ergonomic and affordable. Each stereo microscope that Nikon makes is designed with comfort and performance in mind. These Nikon stereo microscopes were meant for use in labs, microelectronics, and in industrial settings. Their high level of dependable performance and affordable price make them a good choice for many different types of users. 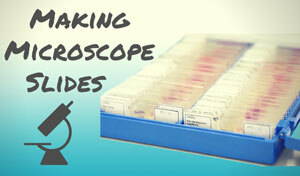 An upright microscope is simply a compound microscope that uses its objectives to look down on the specimen. This is probably to most common type of microscope, and Nikon makes a number of good models. A Nikon upright microscope provides stellar function and quality. Each upright microscope uses universal objectives. This guarantees great images no matter what method is used to capture them. Adjustable binocular tube that tilts and lets you adjust the eyepiece length, very comfortable! Despite the fact that it's considered a more "basic" model, the Nikon E200 microscope stands out for its solid design, great optics, and ease and comfort of use. We think anyone who works as a veterinarian, pathologist, or an observer of prepared slides would get a lot of use out of this microscope. An inverted microscope looks up at the specimen with its objectives, instead of down like an upright model. Inverted microscopes are used to examine cell cultures, aquatic samples, or other specimens that are large or heavily influenced by gravity. The Nikon inverted microscope takes the lead in its field. Each unit is easy to modify for the needs of its users. The Nikon optics can produce bright, high contrast images with no aberrations. This is especially helpful in working with live cell imaging, which is one of the bigger challenges facing scientists. Anyone working with tissue and cell cultures, blood typing, or other biological processes could benefit from the Nikon TS100. It produces sharp, clear images, allows a long working distance, is easy to use, and is an affordable inverted model. The Nikon microscope has been involved in some of the best known life science developments. The Nikon Diaphot microscope was used for the first in vitro birth in the country. 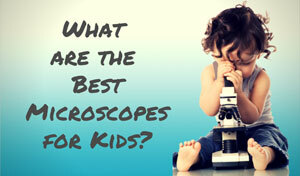 In fact, it is still the one of the most used microscopes for fertility treatments. 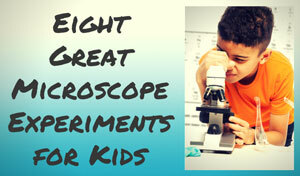 Nikon microscopes have been involved in other famous biological science advances. The cloning of Dolly the sheep was a big event that used a Nikon microscope. 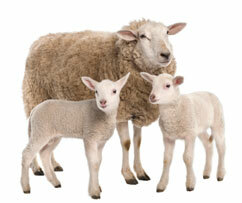 Dolly was the first adult mammal ever to be cloned. Nikon has made waves off the planet as well. A Nikon camera has been aboard every manned NASA flight since the 1971 mission of Apollo 15. Some on the most renowned pictures of the Earth and astronauts was caught through a Nikon camera lens. Nikon instruments are known for their advanced and fully-integrated microscope systems. One of the reasons that the Nikon microscope is considered so great starts with their manufacturing. Nikon is the only company that still maintains control over the glass production that makes their precision optics. From the raw silicon to the final coating, Nikon does it all. This makes it possible for Nikon to change the specifications, quality, and performance of each lens it produces. They can even update the entire process as new techniques and materials become available. Recently, Nikon switched to an Eco glass manufacturing process. This produces the same great optics without the use of toxic elements or processes. In over ninety years, the Nikon microscope has changed a great deal. Despite this, Nikon has still clung to its core values. Each microscope Nikon produces has amazing optical capabilities and the power to evolve with the needs of its users. Nikon has left a big impact on the microscopy field. Imagine what tomorrow will bring! For more in-depth reviews of other models, please see the links below. The Nikon E100 microscope is a compact model that offers quality optics and is perfect for educators, biologists, and veterinarians. Although less advanced than the E200 featured above, the Eclipse E100 is a powerful unit that's perfect for anyone needing a solid biological microscope. The Nikon 50i microscope merges style, function, and usability into a great optical package. The Eclipse 50i/55i series is geared towards those working in a professional laboratory environment. Looking for something a little less expensive, and a lot less formal? The Nikon field microscope is a lightweight model built for exploring the outside world. This fun little stereo microscope offers good optics and 3D images. Made for kids and curious adults. The Nikon SMZ1000 is a powerful stereomicroscope that's filled with useful features. Here you'll see why it's so popular with so many different types of people. The Nikon Ci-L and Ci-S offers a blend of optical performance and superior ergonomic mechanical design. The newly developed high luminescent LED illumination contribute to improved user posture during any imaging or observation.